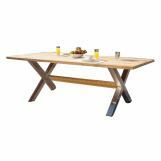 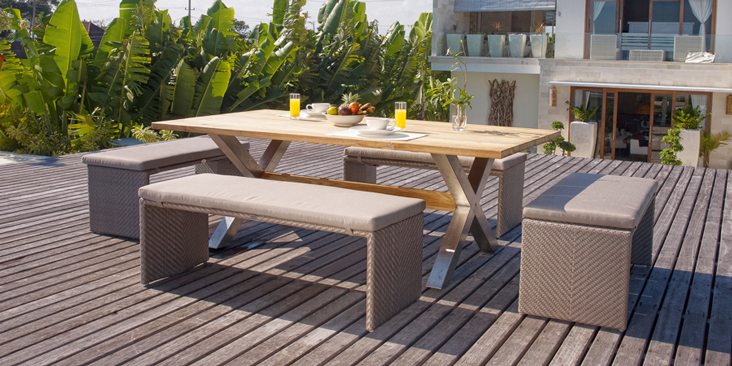 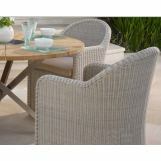 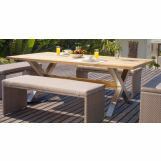 The Nautic collection also brings you another alternative to wicker outdoor furniture with its Nautic teak dining tables. 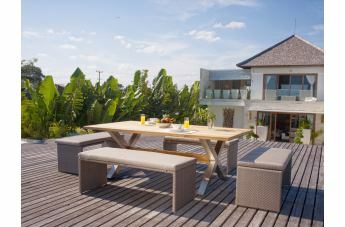 Teak does not require a specific maintenance routine, however simple cleaning steps will adequately preserve its appearance. 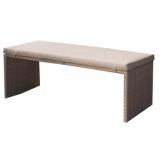 Two table sizes are available in this material for your specific needs in a round or rectangular shape.